ALERT: Traverse des Sioux is currently closed due to high water. Treaty Site History Center remains open. 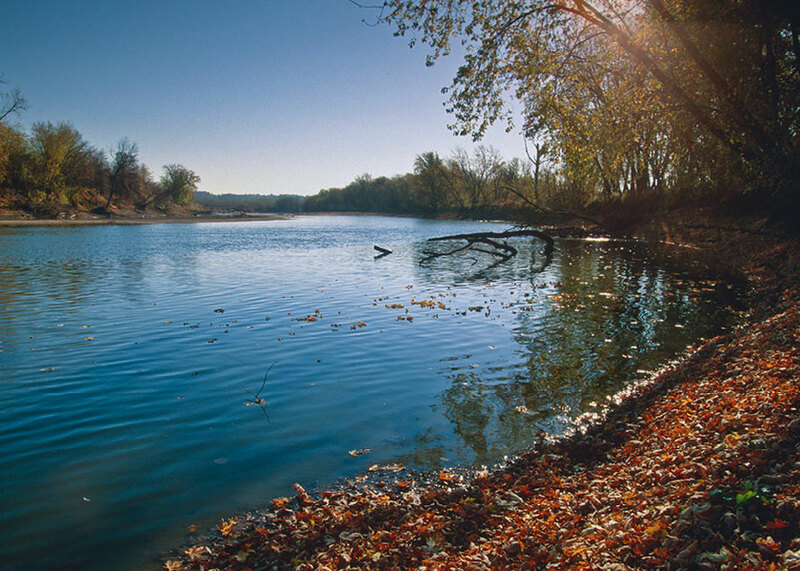 For thousands of years, the Dakota lived and worked at Traverse des Sioux, located on the lower Minnesota River. By the early 19th century, European American fur traders, missionaries, and adventurers were frequent visitors. Then in 1851, this site witnessed the signing of the Treaty of Traverse des Sioux between the US government and the Dakota. The trails are open daily, from dawn until dusk. Trails are not maintained in the winter. 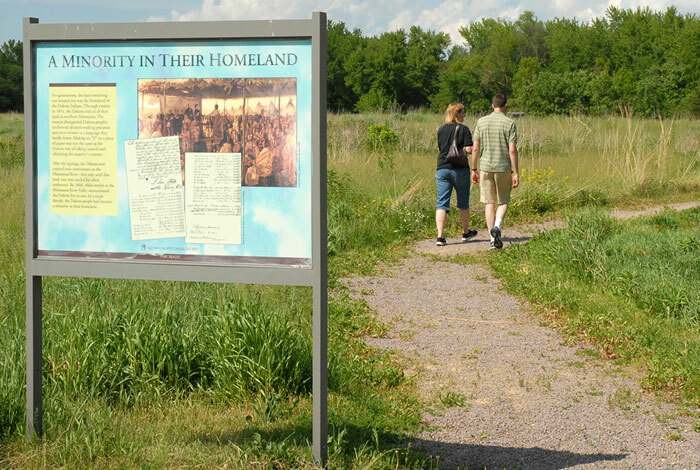 Follow the paths used by generations of Dakota and early French fur traders as you learn about the deeply complex historical significance of the site. 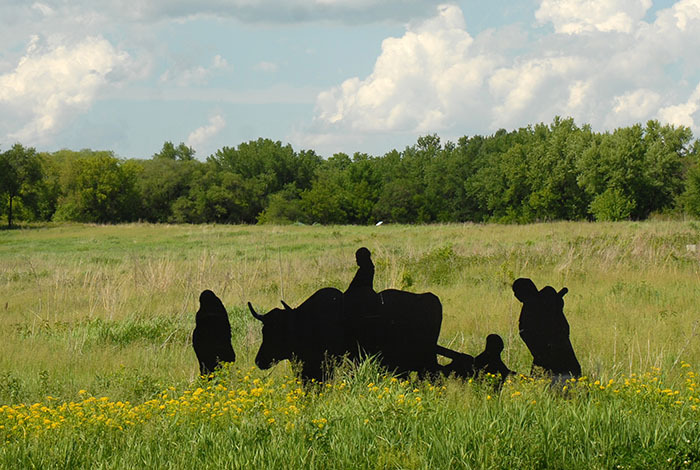 For generations, this site served as a meeting place and river crossing point for the Dakota tribes. 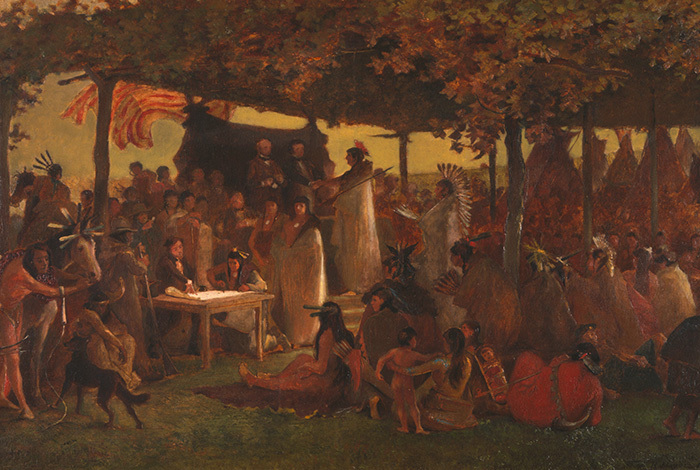 But as non-native settlers sought more land, the Dakota faced an impossible choice. Use your favorite social media channel to share your interest in #TraversedesSioux with friends, family, and colleagues. It just might show up here as well!